Snapchat has made two big announcements that involve a name change and the launch of a new product. The company has rebranded and will be now be called Snap Inc., and it is launching a Google Glass-style wearable product that comes with a built-in video camera. The new name only applies to the company itself; Snapchat the app won’t be affected. “Changing our name also has another benefit: when you search for our products it will be easier to find relevant product information rather than boring company information or financial analysis. You can search Snapchat or Spectacles for the fun stuff and leave Snap Inc. for the Wall Street crowd :)” wrote CEO Evan Spiegel in a blog post. Rumors that the firm has been working on some form of headset have been circulating for a while. 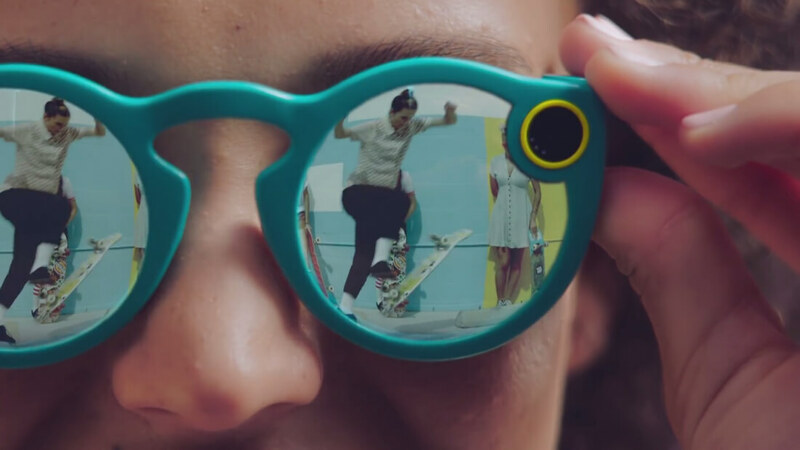 Now, Snap Inc. has confirmed that Snapchat Spectacles – due to be released this fall – are a real product. The $130 glasses have what Snap Inc. calls “one of the smallest wireless cameras in the world” integrated into them. Pressing a button near the hinge records 10 seconds of video, during which time a ring of LEDs will light up. The device connects directly to Snapchat via Bluetooth or Wi-Fi, and recorded footage is transferred directly into the app. The Spectacles have an 115-degree field of view and captures footage with a fisheye-style look. They’ll be available in a limited quantity when first launched to see how well they're received. If successful, Snap Inc will doubtlessly produce more of the glasses, which come in black, teal, or coral color options. We still don’t know what resolution video they record or what onboard memory the wearables will have. Check out the video below to see Snapchat Spectacles in action.